Home Instead has been at the BBC’s studios this morning to take part in the discussions about the many councils paying too little for ‘decent’ social care. Home Instead do not enter in to local authority volume contracts as they believe they drive down the quality of care and don’t allow for client’s dignity to be maintained. The company was invited to take part in the discussion owing to their stance. The BBC’s File on 4 programme, to be aired at 8pm this evening, will reveal in detail the findings of the investigation into the rates paid by local authorities to private home care providers. The BBC quotes to UKHCA’s recommended minimum charge for an hour of ‘decent’ care as £15.19 but the BBC investigation has found that only a tiny number of authorities pay this rate. They found three authorities paying under £10 per hour. 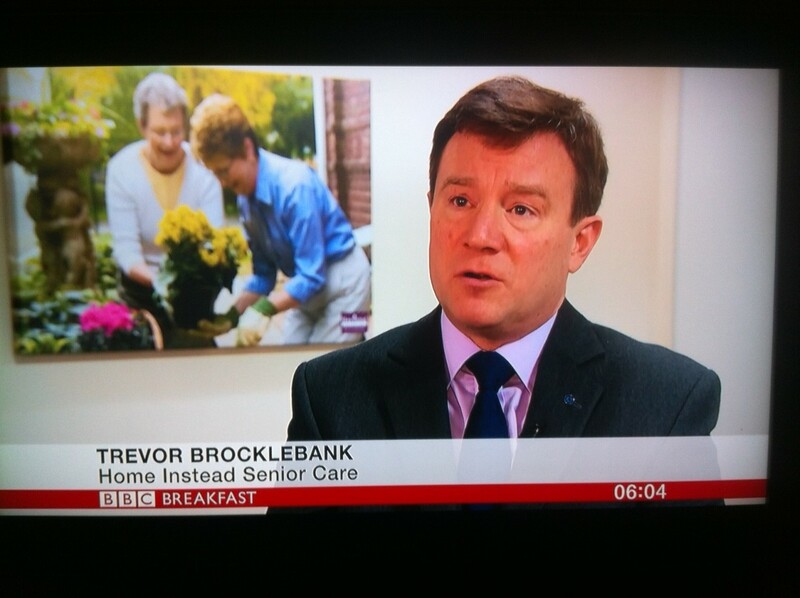 Speaking on behalf of Home Instead, Trevor also appeared on Radio 4’s flagship news programme alongside Sandie Keene, president of the Association of Directors of Adult SocialServices. Thepair were interviewed by John Humphries. Referring to the BBC’s investigation, the venerable newscaster quoted the UKHCA’s recommended minimum hourly rate of £15.19 and said that many local authorities were not paying this rate and that it was not possible to deliver care for less than this “It’s simply not doable” he said.